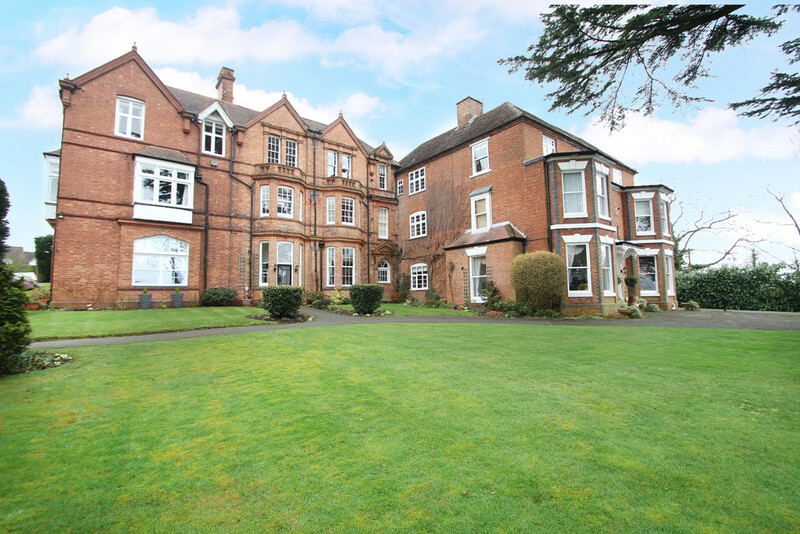 A fantastic opportunity to acquire a beautifully presented 2 bedroom, first floor apartment set in the most tranquil location. 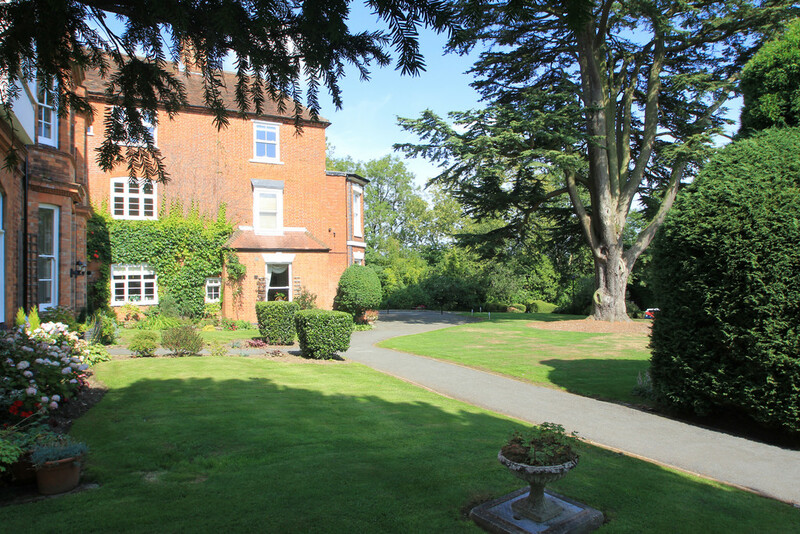 Fetherston Grange is a unique converted country residence affording large living space, dining room with decking balcony space, modern fully appointed kitchen, great size bathroom, lavish hallway and two good sized double bedrooms with outstanding views all around. FETHERSTON GRANGE Fetherston Grange is a splendid country house conversion of just 12 individual apartments. 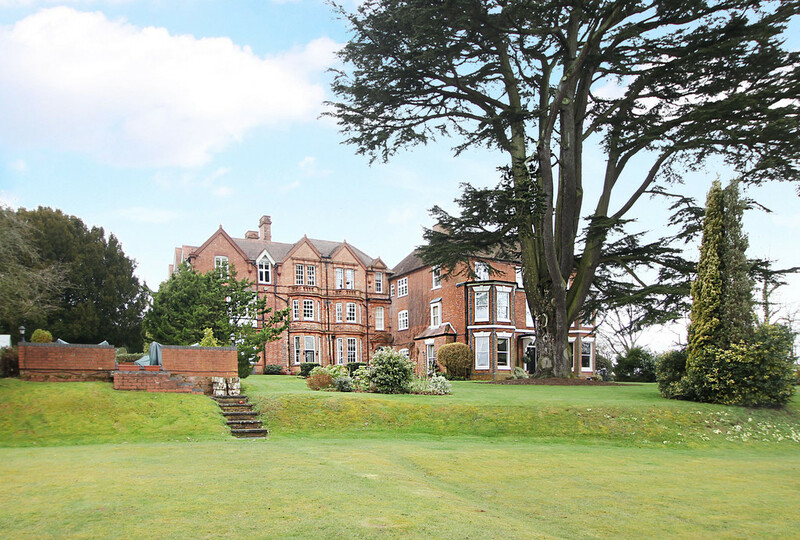 An imposing building standing proud amongst established and beautifully maintained grounds affording fantastic views of the local Warwickshire countryside. 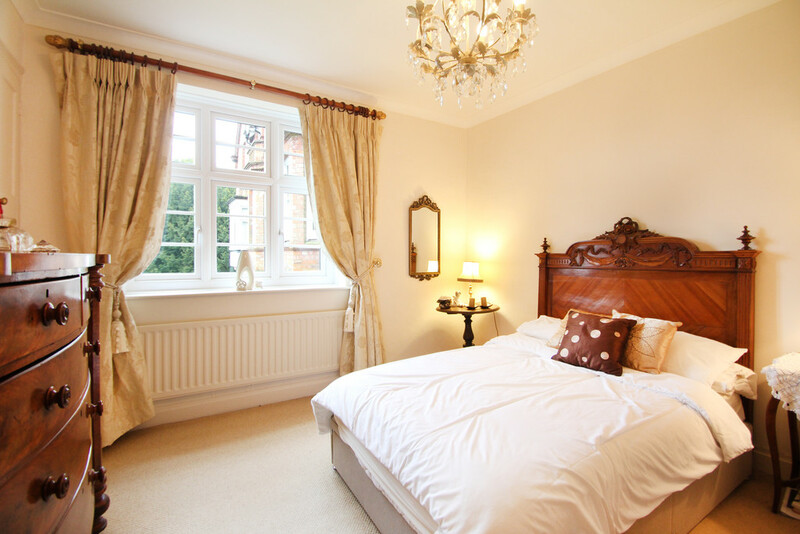 The development is located between Dorridge, Lapworth and Hockley Heath. What is wonderful is the community spirt this development offers. Not only would you be acquiring a wonderful residence but you can share the tennis court and patio/barbecue area with the other residents. Sounds perfect. 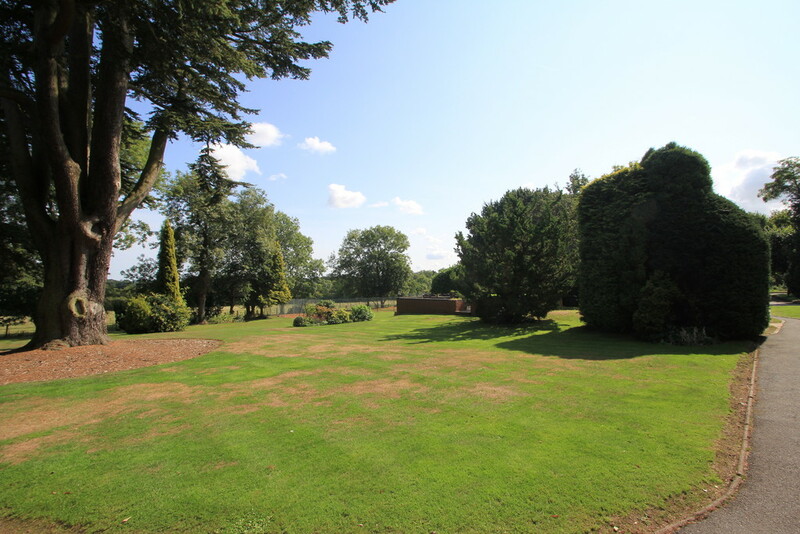 If you enjoy your National Trust's then Fetherston Grange is perfect, just a mile from Packwood House with a number of other Trust properties close by. There are well know canal and countryside walks near by and a number of local inns, The Boot, The Navigation and The Punch Bowl. 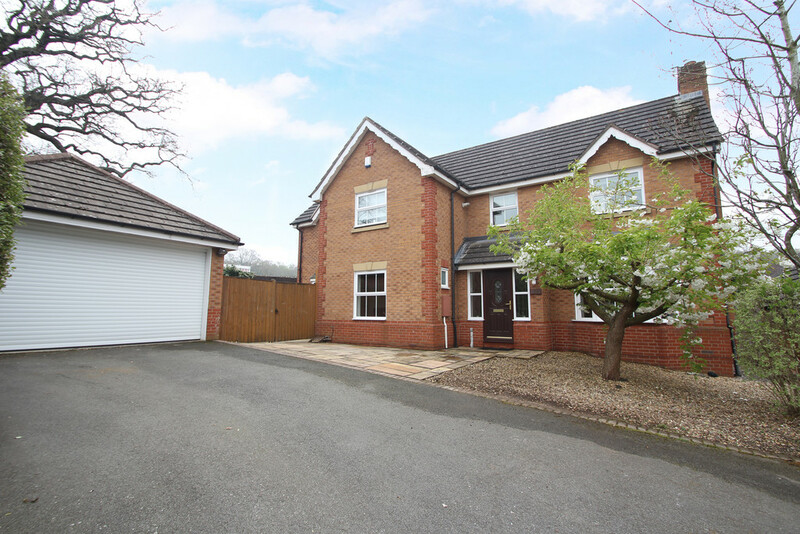 This is a unique opportunity, if you enjoy the peace and quiet, yet within easy reach of local villages, restaurants and shops with good commuter links within easy reach then Fetherston Grange is well worth a visit. MAIN ENTRANCE HALL You enter the property via an enclosed porch with a security door intercom allowing access to the communal ground floor reception hall, having stairs leading to the first and second floor landing and access to the Apartment. This is a grand entrance indeed. ENTRANCE HALL 12' 9" x 14' 4" (3.89m x 4.37m) narrowing to 3.03m Once you step inside this apartment you immediately feel a sense of space, the tall ceilings and vast amount of natural light deliver a wonderful relaxed feeling and prepare you for a great viewing experience ahead. 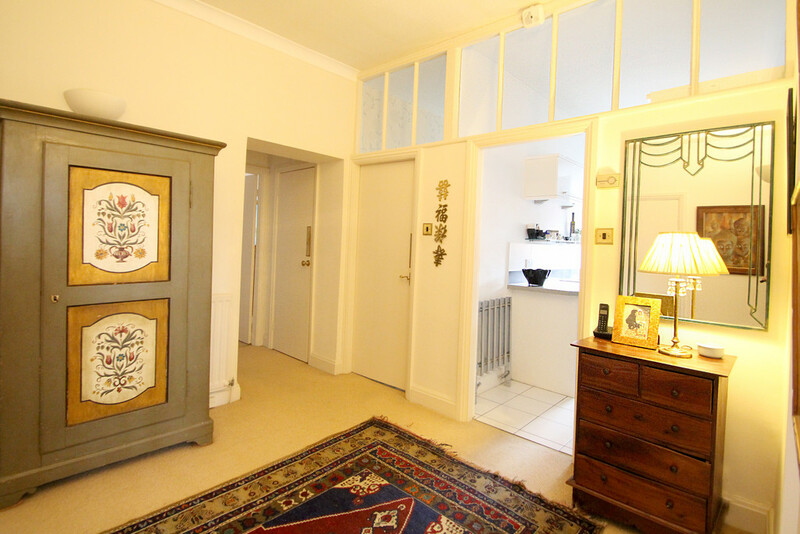 The hallway benefits from stylish coving, wall placed up-lighting and cosy cream carpets. The hallway is centrally heated and the door entry system is here too. There is a handy storage cupboard off this space too, great for storing coats, vacuum and the obligatory ironing board. 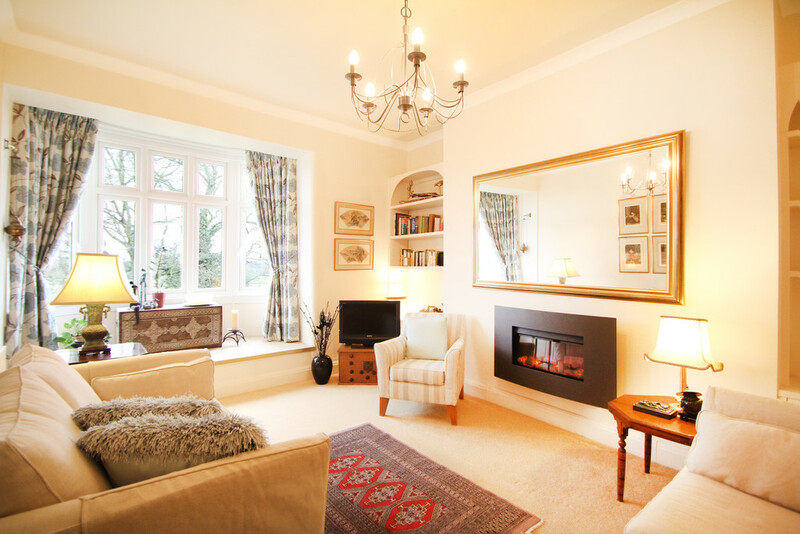 LIVING ROOM 18' 10" x 12' 5" (5.76m x 3.80m) into bay window We adore this space. Again, the tall ceilings help create a sense of grandeur, plenty of space for a couple of sofas. 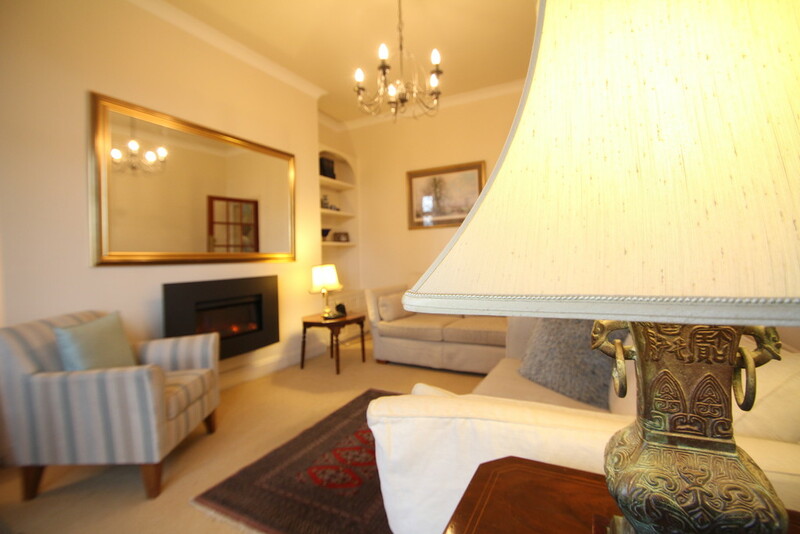 This is a wonderful space to relax and enjoy the view out of the bay window. The raised platform into the bay is the perfect place to sit back with a good book and relax. 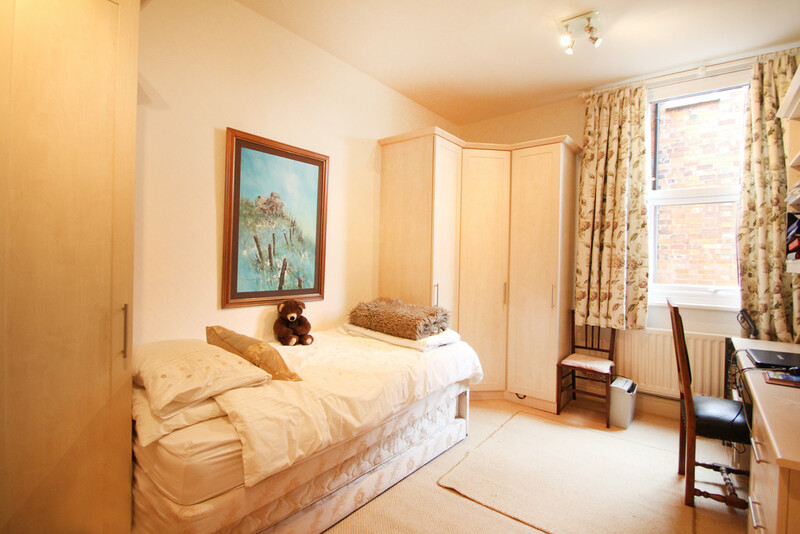 This space is neutrally decorated, cream carpets, radiator and two shelves with storage cupboards under. Having the benefit of glazed internal door bringing more light into this space. DINING ROOM 14' 10" x 10' 0" (4.53m x 3.06m) Another great room. Having the benefit of patio doors opening out to the decking area and dual aspect views ensuring plenty of natural light. 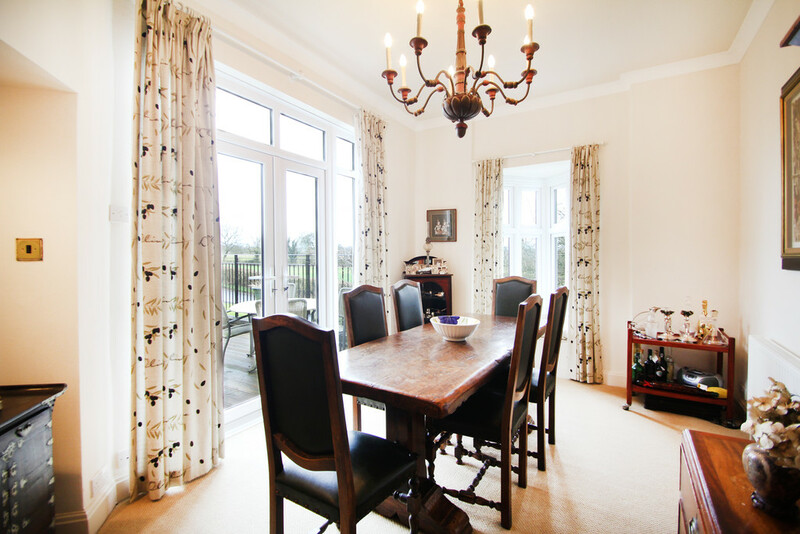 A great space, perfect for family size dining table and a real sociable place to be. 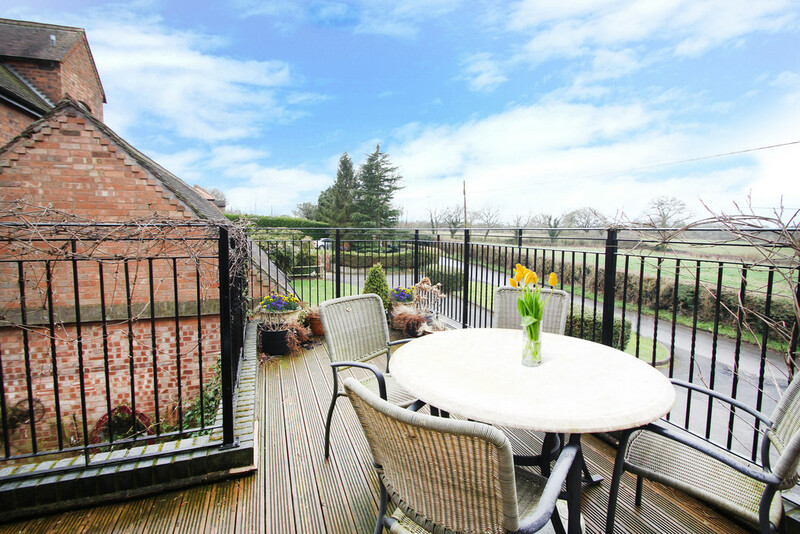 Super in the summer months for entertaining where you can stretch out onto the decking area and enjoy your private balcony admiring the views and listening to nature sharing the local countryside. 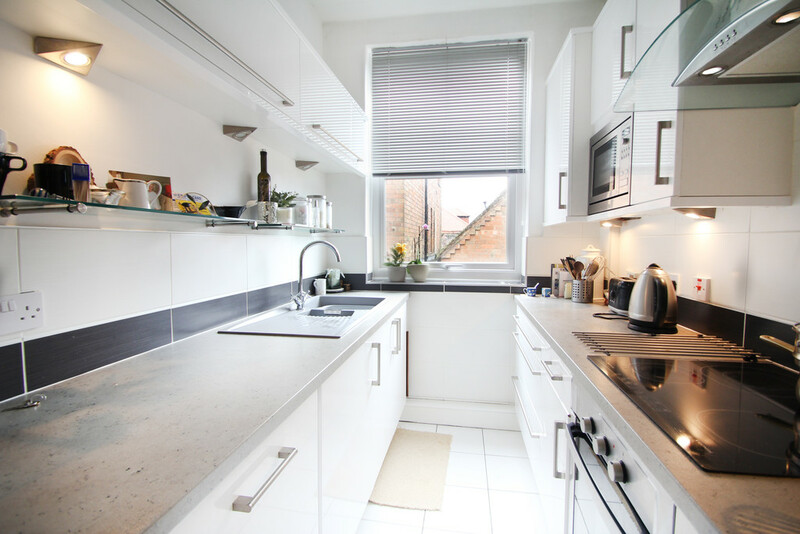 KITCHEN 10' 5" x 6' 3" (3.19m x 1.92m) A modern twist delivering a good range of wall and base hi-gloss white units, beautifully styled with contrasting rolled work surfaces. Everything you need is perfectly placed to include integral Bosch dishwasher, Bosch intigrated washing machine, Technik oven and grill, touch control electric hob with extractor over, integral Bosch microwave, tall fridge and freezer with sink. Another great feature of this kitchen is the large window delivering an abundance of natural light bouncing off the white floor tiles. The Worcester boiler is housed in the kitchen too. DECKING AREA 16' 11" x 15' 7" (5.17m x 4.75m) It is rare to be on the first floor and have your own piece of outdoor space. The decking area is a special place to be. Whether sat with friends enjoying their company over a drink or sat peacefully enjoying the sunshine and the wonderful views. A great area to place your pots and create your own garden space. SHOWER ROOM 10' 6" x 7' 10" (3.21m x 2.40m) Having the benefit of large shower with mixer taps and glass screen, hi-gloss vanity sink with storage, W.C, heated towel rail and two window units. 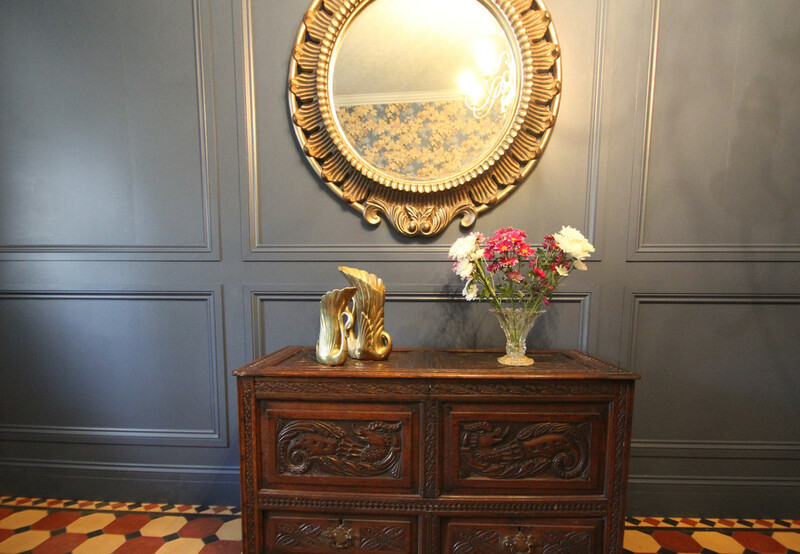 Stylishly finished with engineered wood flooring and half height wall tiling. 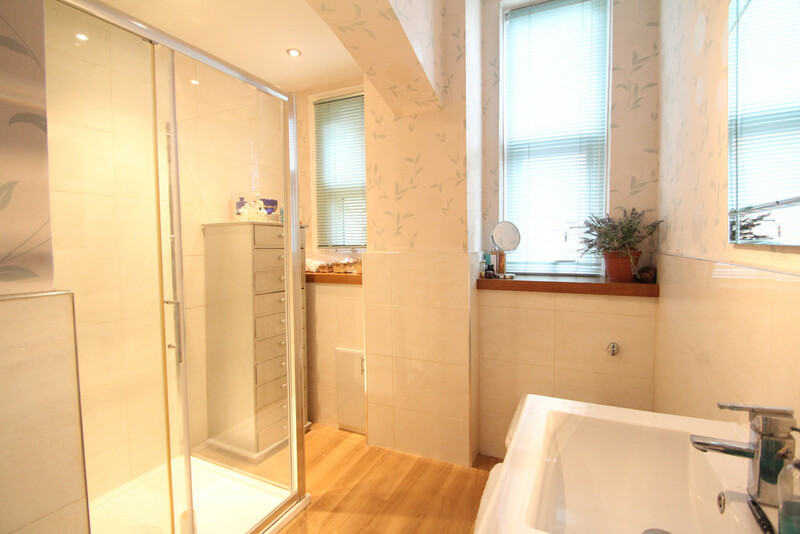 A spacious shower room, again with tall ceilings to add to the flavour of space. BEDROOM ONE 13' 11" x 11' 8" (4.26m x 3.57m) In keeping with the rest of the apartment the main bedroom delivers a real sense of space with the tall ceilings and coving. Having the benefit of a double and single wardrobe space. 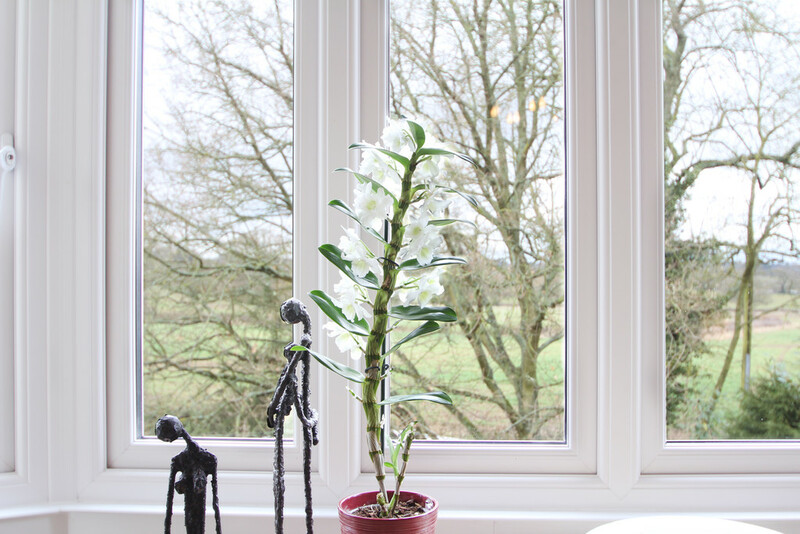 Cream décor and carpets with a recently replaced large double glazed window offering a beautiful view to wake up to. BEDROOM TWO 15' 1" x 10' 5" (4.6m x 3.18m) Another large space having the additional benefit of fitted wardrobes and fitted desk/dressing table. The bed fits perfectly in between the wardrobes. 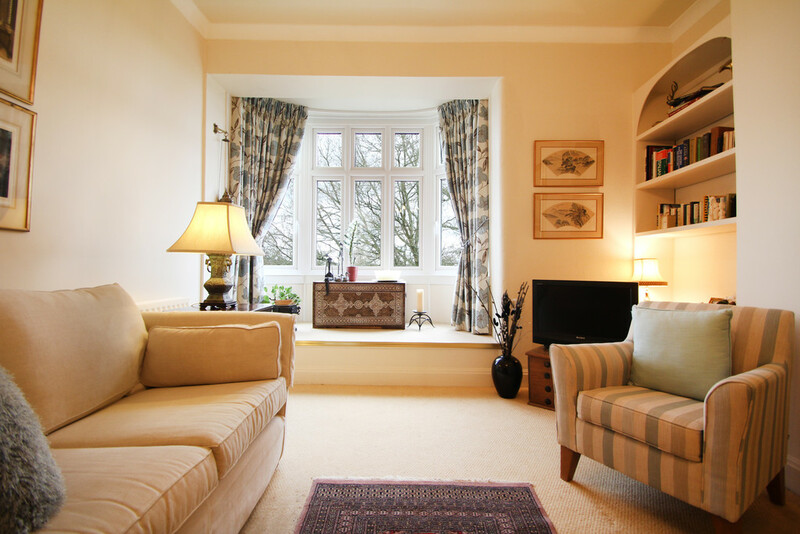 Again, a large window, neutrally decorated and cream carpets. There is a radiator too. 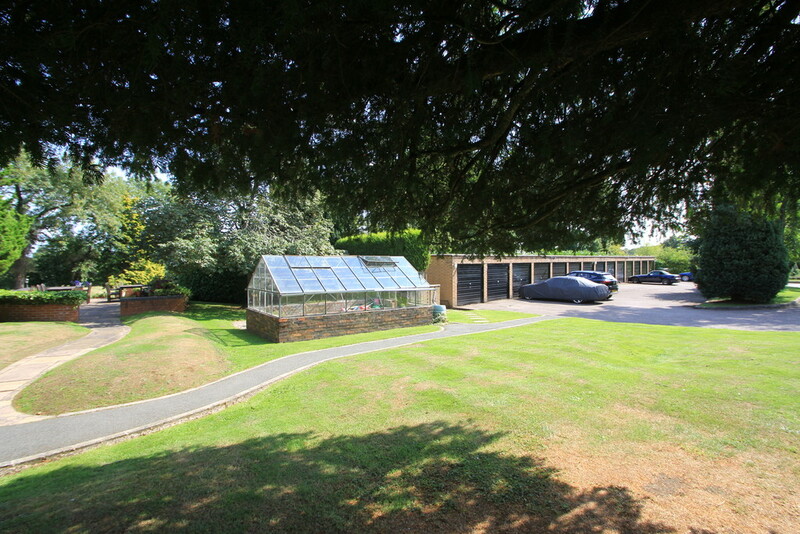 OUTSIDE A wonderful development surrounded by communal, well maintained gardens, tennis court and having the benefit of single garage in block. 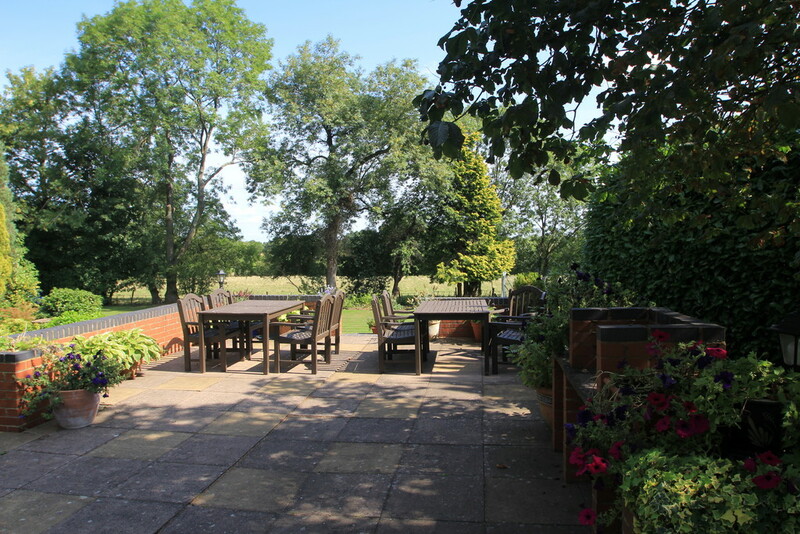 There is also a residents patio and barbeque area, perfect for community gatherings enjoying the beautiful surroundings. TECHNICAL The Fetherston Grange Residents Association Ltd is a holding company which owns the freehold of the development. 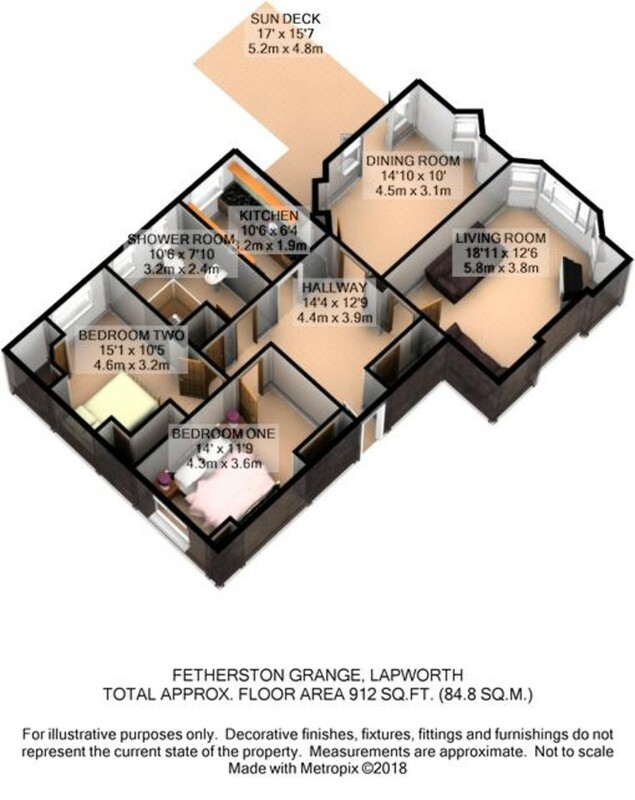 Each of the 12 owners at Fetherston Grange are shareholders in the company and have granted themselves individual 999 year leases from December 1980. The service charge is currently £160 pcm which includes buildings insurance, ground rent, service charges, maintenance of gardens and tennis court, communal cleaning, window cleaning, lighting and all external painting and maintenance of buildings and pathways. The development is supplied with LPG of which each apartment is metered and invoiced accordingly. The property is connected to mains electricity and water. 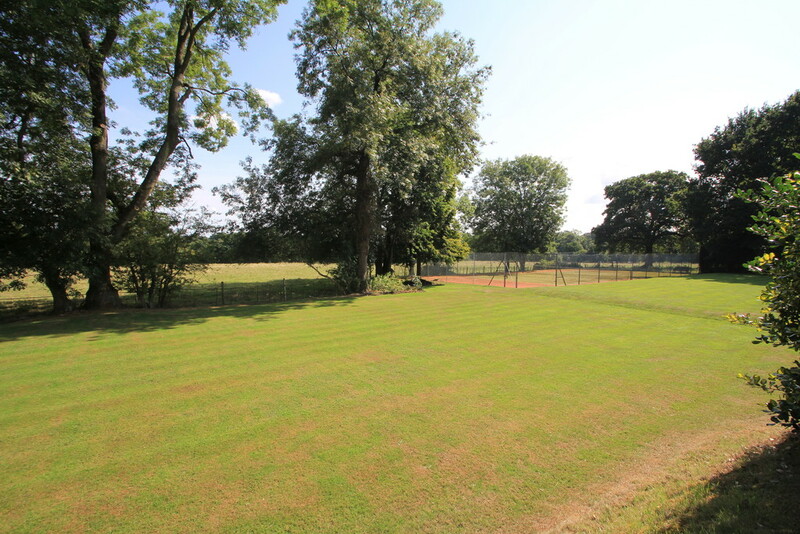 The drainage is to a private on site sewerage system for use by the development with an annual sewerage charge of £70. Ginger have not verified this information, therefore your legal representative must seek the appropriate clarification and we are happy to pass the details to your representative to make any enquiries ahead of making an offer. ginger have not checked appliances nor have we seen sight of any building regulations or planning permissions. You should take guidance from your legal representative before purchasing any property. 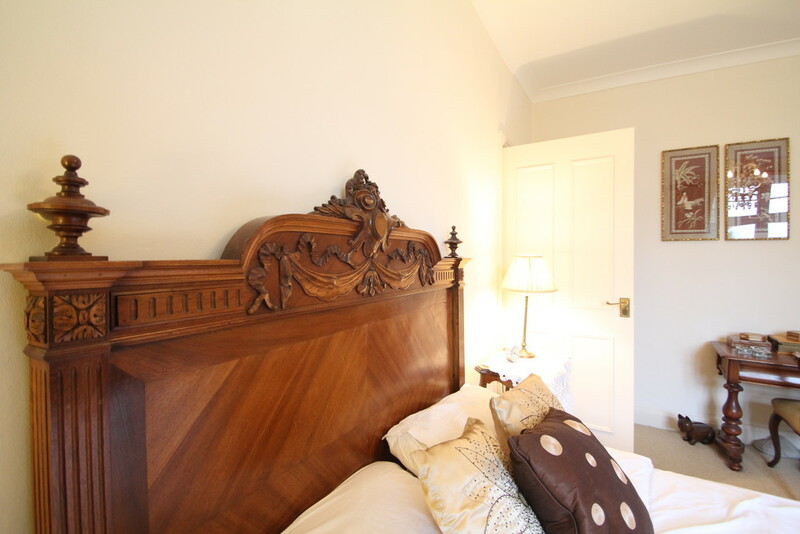 Our room sizes and property layout are presented in good faith as a guide only. Although we have taken every step to ensure the plans are as accurate as possible, you must rely on your own measurements or those of your surveyor. Purchaser please note, due to law changes with anti-money laundering, estate agents are now obligated to carry out AML checks on purchasers too, and you will be required to provide information to assist with our checks. 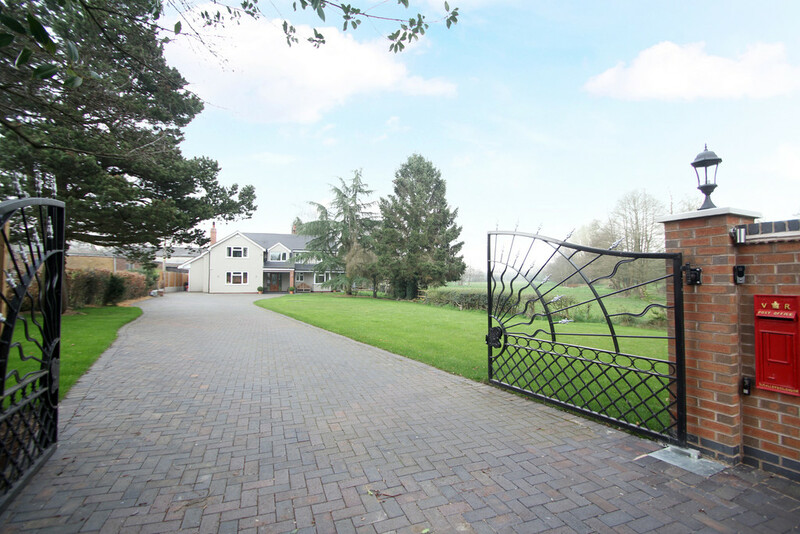 All information we provide is in good faith and as a general guide to the property. Details have been checked by the seller and power of attorney, and are agreed to be an accurate and a fair description of the property. 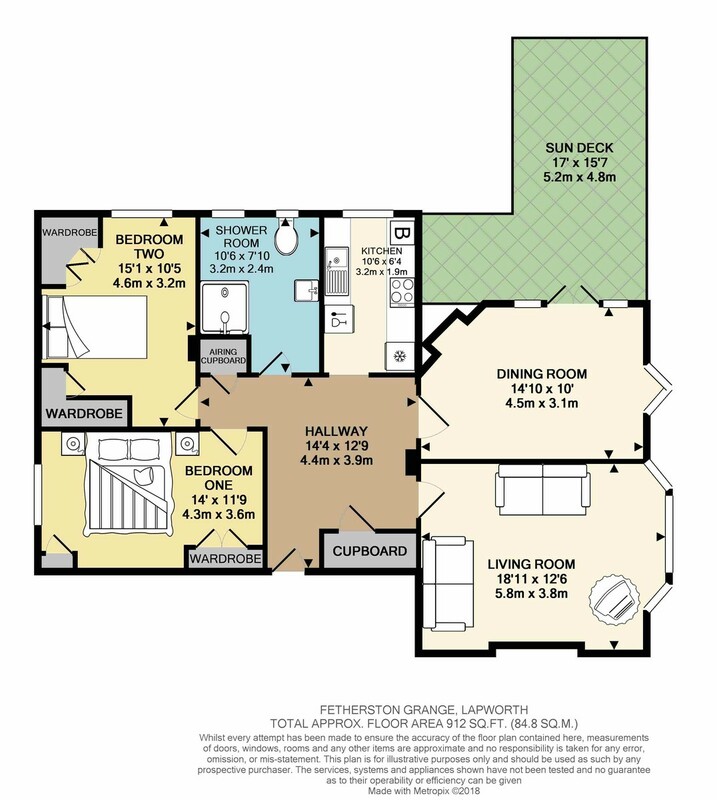 Our state of the art 3D floor plan viewer allows you to really get a good idea of the layout of the property, and also allows you to insert your own furniture to create an even more realistic image of your potential future property. 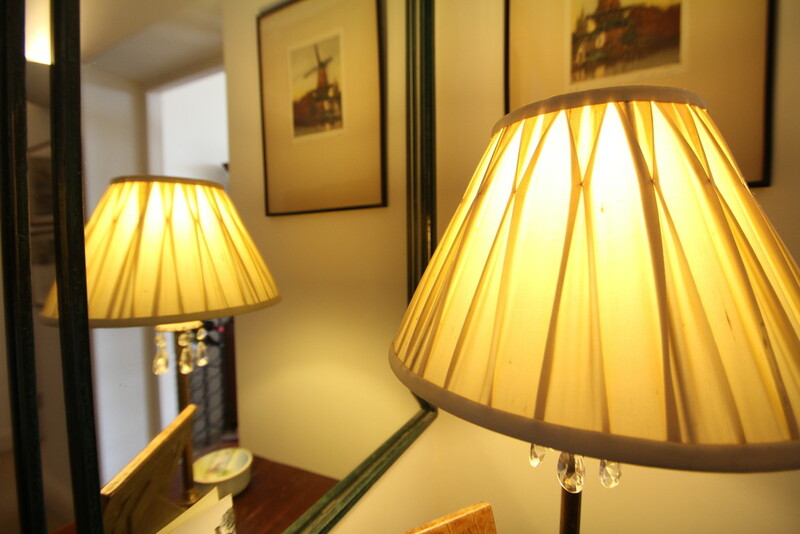 We have not tested any of the electrical, central heating or sanitaryware appliances. Purchasers should make their own investigations as to the workings of the relevant items. All room measurements and mileages quoted in these sales particulars are approximate and given in good faith as a guide. 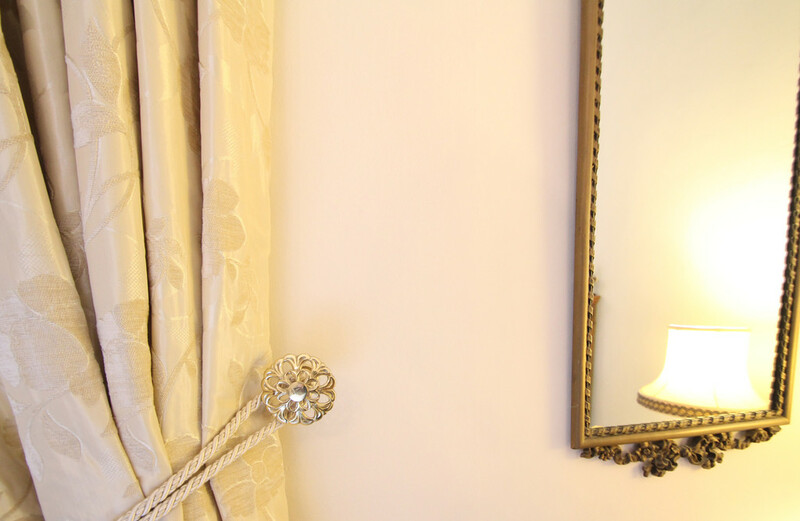 All those items mentioned in these particulars by way of fixtures and fittings are deemed to be included in the sale price. Others, if any, are excluded. 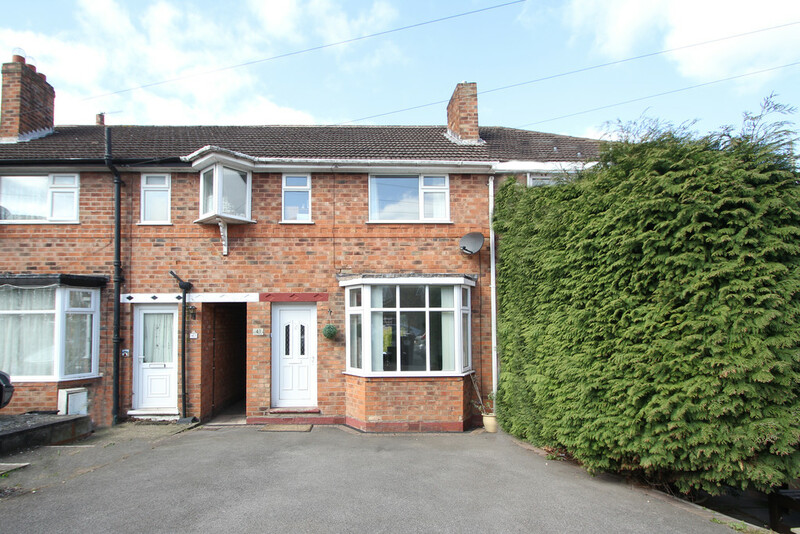 However, we would always advise that this is confirmed by the purchaser at the point of offer. We have in place procedures and controls which are designed to forestall and prevent Money Laundering. If we suspect that a supplier, customer/client, or employee is committing a Money Laundering offence as defined by the Proceeds of Crime Act 2002, we will in accordance with our legal responsibilities disclose the suspicion to the National Crime Agency. These details do not form part of any contract and a purchaser and their legal representative should make their own investigations where necessary and satisfy them of all details. 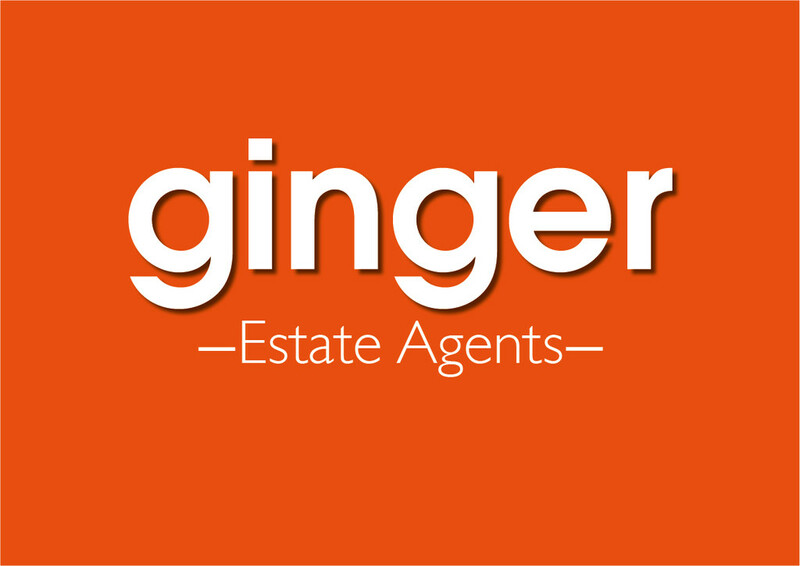 Ginger Lifestyle Ltd and Ginger property ltd give details in good faith. The 4 Vital Steps Before Selling Your Home. For more information click here. Riddings Hill Event, Balsall Common. For more information click here. 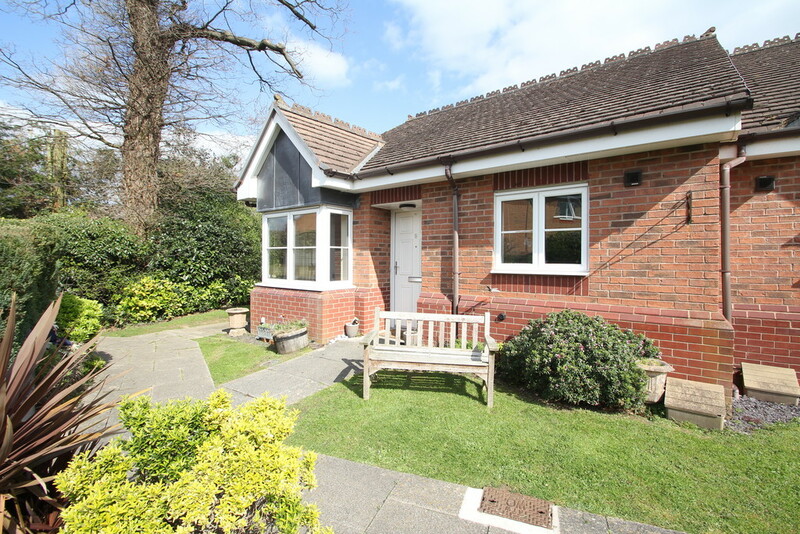 Is a retirement bungalow right for you?. For more information click here.